Nashville Sounds Vice President Doug Scopel has been named Minor League Baseball Executive of the Year by Ballpark Digest. In his 19th year with the Sounds, Scopel oversees stadium operations, baseball operations, groundskeeping, media and public relations, retail, finance, and security services for the team. Scopel was named Honorable Mention for the same award in 2017. "This is an extraordinary honor and I am extremely humbled. I have the sheer pleasure of working in Minor League Baseball, an industry that is filled with some of the brightest and talented executives in professional sports. To be selected out of that group for this award makes it even more special for me," said Scopel. "Since we opened First Tennessee Park in 2015, it's been our goal and challenge to continue to reach new levels of fan experience and overall success, and I think this award is a tribute to those efforts, both my own and also those of all the amazing people I work alongside on a daily basis." Scopel played a major role in the planning and development of state-of-the-art First Tennessee Park, now in its fourth season. Since opening in 2015, over two million fans have entered the ballpark, including a number approaching 600,000 in the current season. First Tennessee Park has played host to over 100 events during the 2018 calendar year with Scopel leading stadium operations. "I'm thrilled for Doug to receive this award from Ballpark Digest," said Sounds General Manager Adam Nuse. "His hard work and dedication to the Nashville Sounds organization is second to none. 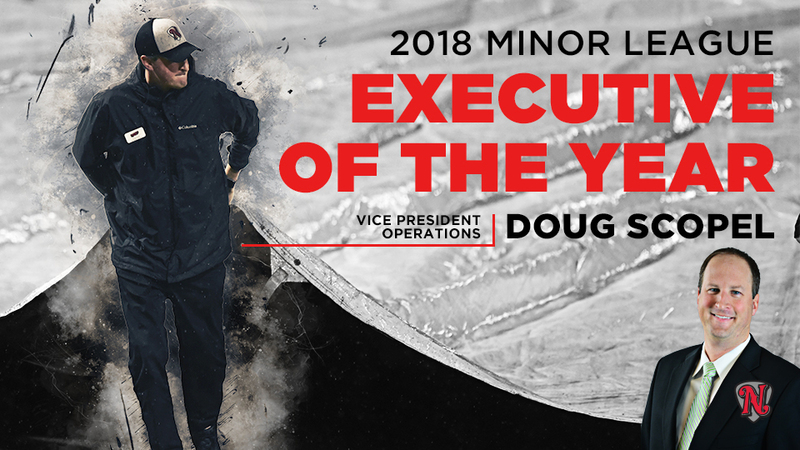 Doug is a vital leader of our staff and is well-respected throughout the game of baseball and in Nashville." Scopel directly manages all baseball operations for the Sounds, including team travel, affiliate relations, clubhouses, and acts as the primary contact for visiting teams, umpires, and baseball personnel throughout the season. In addition, he serves as the primary interface for officials with the Nashville Soccer Club, which shares the venue with the team, and for members of the Metropolitan Government of Nashville and Davidson County, Tennessee, the owners of the ballpark. In 2006, Scopel was honored by Minor League News as the Public Relations Director of the Year, receiving the coveted Ralphie Award that is presented to the top media relations director selected from more than 800 people working at more than 700 professional sports clubs in minor league and independent sports.